What you say to a small giveaway and a freebie, hey? Tee hee, my thrifty nose has done a good job again. First she leads me to an antique typewriter, today towards a box full of antique French postcards!! My prudent frugal brains got in the way though and I ended up with a mere handful of those yummy cards instead of the whole box. And a vintage silver spoon (for 1 euro!) and a silver tray (only 2 euros, big yay!) and a silver thingie (ashtray perhaps?) for almost nothing. may I recommend you to go this way, if you please. 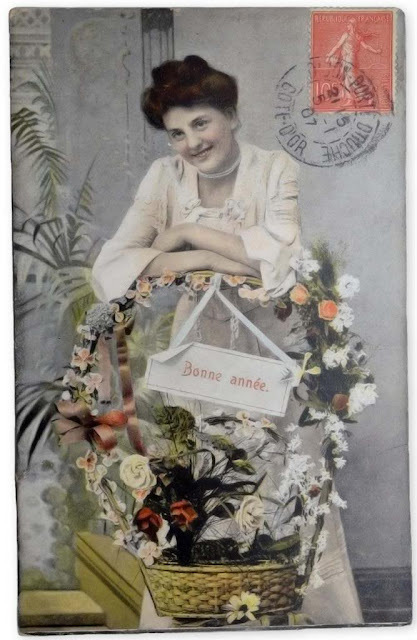 I will put the remaining postcards (they're about a 100 years old, so yummy) and their beautiful handwritten backgrounds on the blog by and by. 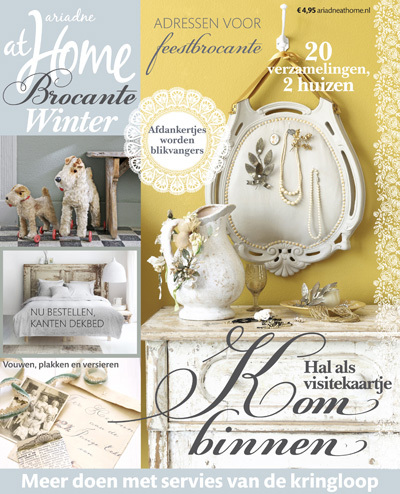 It's the current winter edition of my favourite Dutch brocante living magazine. I know it's written in Dutch, but if you love vintage goodies for your home and French inspired brocante style then I just know you're going to love this one! What you need to do in order to win this magazine is tell me you'd love to win it in the comment section below this post and leave me either a blog or email address so I can contact you. Easy peasy right? 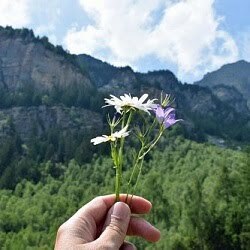 Winner will be announced in my blogpost for Our Beautiful World coming Sunday. Deadline for new entries is 15th January 2014. So you basically have only a few days left to decide. I joined last year and it was great fun. Joining again this year too, yay! What else is going on here... I did some drawing again and thought it was so cute, that I wanted to share it with you. Footynote: I have instagram now. I'll post the link in my sidebar. And then to your fantastic magazine giveaway.. I have seen some Dutch magazines, and I WISH I could buy them in Denmark.. there are some real wonderful ones, and this you so sweetly offers to give away, looks fantastic. I will love to be the lucky winner!! Love your finds! And thanks for the freebie card! I'll use it somehow! I wasn't sure if the Give Away was open to U.S. participants but I'll comment anyway as I'm already drooling over the cover and would love to get this magazine! Love your finds! Thanks for passing on the freebie. I'll find a wonderful way to use this card! Is the Give Away open to U.S. participants because I am loving the magazine and already drooling over the cover photos! 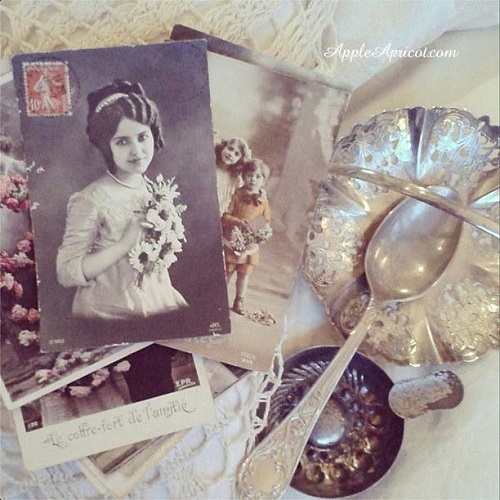 What a lucky time you have had with those purchases of such gorgeous postcards, silver spoon, dish and ashtray! Thank you for sharing one of these cards with us. I bet you might just have to go back and purchase a few more from that box (hehehe!). Such a talent you are even with your drawing! Yes I'd so love to win that magazine you are offering for a Giveaway. Dutch and French brocante magazines like this would never be sold in Australia. So now I just wait with fingers crossed! Never mind the language - the pictures are the same the world over. What wonderful finds. Thank you for sharing the postcard. what a wonderful start of the New Year you had with all the beautiful finds. Thanks for the freebie. Thank you.Have a great weekend. Goodness, what a post, so much to take in! Firstly, I have to say that your drawing is just about the cutest thing I have seen in a while. It really is a sweet little image. 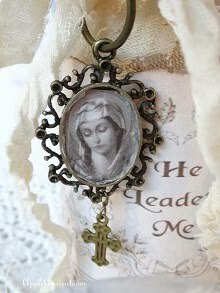 Your new treasures, wow, great finds! Thanks for the image, I love those old French postcards. Tehehe, the thing that you thought might be an ashtray is a 'tastevin', a French wine tasting cup. Just about every vineyard in France would have had these for their customers in the past. I'd love the chance the get my hands on that lovely magazine. Being German I can understand quite a bit of Dutch, and should I win it and get stuck reading it, I could always ask our Dutch neighbours in France! Fab finds indeed Wendy, esp those lovely postcards. Isn't she a sweetie in your giveaway, and the added colours truly make the whole look. Thanks for the sharing! 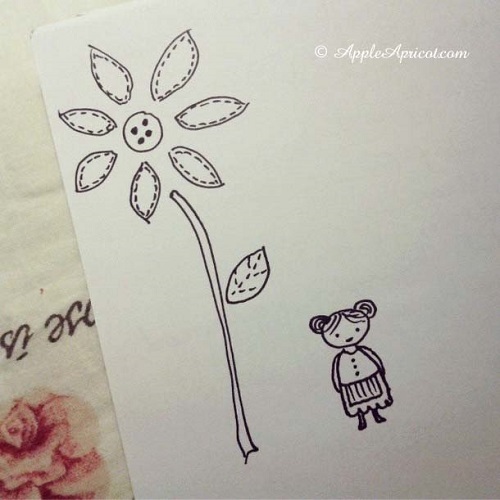 Your drawing is so very sweet and it would make a great embroidery. and as Suzy said, it's hard to get these type of magazines here in Australia, and if so they're usually VERY expensive, so how wonderful it would be to win it! Another very generous giveaway, thank you! Wow! what precious finds for your to play with!! I want to come shopping with you! and I would love that magazine ... just so you know ... Have a beautiful weekend! Yep - here goes: I'D LOVE TO WIN IT.